On Monday (April 15), the India's national selectors will name the 15-member squad to play the 2019 World Cup in England. After months of deliberation, the identity of the No.4 should once and for all be resolved. The selectors also have other important questions to answer viz. Who is the back-up wicket-keeper? Do they need an additional all-rounder? Here's a look at the major talking points, the certainties and those likely to make the cut. First up, let's look at a most likely eleven in batting order, and the slots that then open up. Given his own upswing in recent white-ball form and his direct competitor's decline, Mohammed Shami should edge Bhuvneshwar Kumar for the second pacer's slot. That in-turn could directly reflect on the make-up of the other two vacant slots. Do India need Ravindra Jadeja? In the absence of Bhuvneshwar Kumar, Ravindra Jadeja might just force his inclusion into the squad and ahead of one of one of the wrist spinners in the XI to lend additional batting depth. Alternatively, it's a spot also for another all-rounder in Vijay Shankar. If Bhuvneshwar makes his way to the first XI. then India can play both wrist spinners. What about the No. 4? Until a few months ago, Ambati Rayudu had been declared a certainty at this spot by Kohli himself. Now though, with a slight dip in his stocks and the balance sought in the final eleven, Rayudu finds himself in a tight spot. 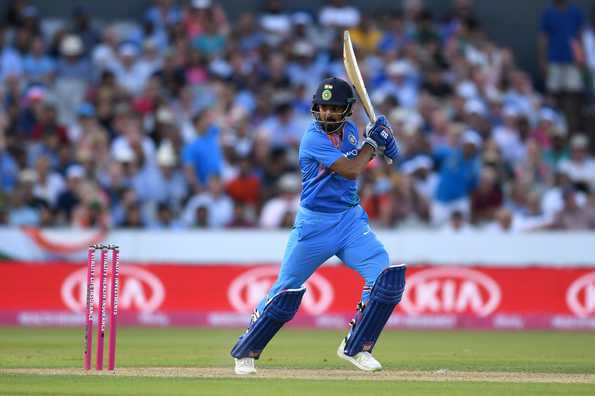 Vijay Shankar is a contender for this spot also, as is KL Rahul who has been in great touch in the IPL and someone who doubles-up as a back-up opener in the squad. India have also toyed with the idea of MS Dhoni there, while Ravi Shastri hadn't ruled out a move down for Virat Kohli. But none of these moves have given them possible solutions for the World Cup, without disturbing other dynamics. Rishabh Pant or Dinesh Karthik? The former has the tendency to leave viewers awestruck or dumbstruck. The latter brings experience. Neither has shown the ability to play a long innings when the situation demands. Pant has exuberance, but Dinesh Karthik has shown composure under pressure. In the IPL, neither has done enough to make the call easier. Irrespective of that, whoever gets picked could leave the other person feeling a little hard done. Could KL Rahul be a back-up wicket-keeper? It is an option, but one that does not seem to feature in India's radar. Rahul has kept regularly over two seasons for his IPL franchise, but the selectors are unlikely to go down that route in a longer format, and particularly in a tournament with such high stakes. So who misses out to accommodate the back-up keeper? Rayudu, Rahul, Shankar or Jadeja? What will be your 15-man squad? Mail your list to submissions@cricbuzz.comand we'll feature them here.